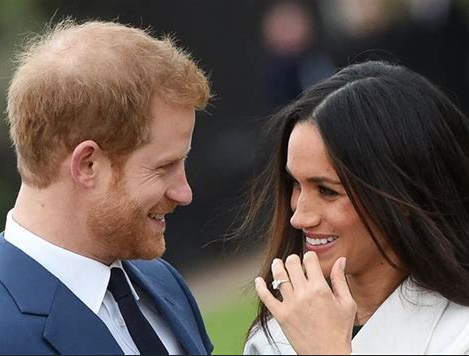 Want to watch Prince Harry and Meghan Markle’s Royal Wedding taking place this Saturday? Choose from television, live streaming on your computer or phone, or apps. Here’s how to do all that. If you’re living in the UK, watching the wedding this Saturday is easy peasy. If you’re in the United States, you’ll have to get up very early. On the east coast, the UK is 6 hours ahead and if you’re on the west coast, it’s 9 hours ahead. Of course, you want to see Meghan Markle’s wedding gown and watch Prince Harry kiss Meghan on a balcony, and all that other good stuff. In the US, live broadcast of the ceremony starts at 7 am ET. But wait, there’s more! There are live broadcasts that you can watch on your TV or laptop. And if you prefer streaming, there are live broadcasts from almost every streaming site around. NBC’s The Today Show’s crew: Savannah Guthrie, Hoda Kotb, Megyn Kelly, Al Roker, and Sheinelle Jones will start broadcasting at 4:30 am on the big day. ABC’s Good Morning cast are also in UK for the big day. Their wedding broadcast will go from 5 am to 10 am ET. CNN is sending Anderson Cooper and a whole slew of people to Windsor to cover the event. Expect fashion commentary from Joe Zee. Comments from royal correspondents Max Foster, Victoria Arbiter (talk about nominative determinism! ), Kate Williams, and royal biographer Sally Bedell Smith. Also along for the ride and lots of pithy comments are CNN’s Alisyn Camerota and Don Lemon. PBS has Meredith Viera and British TV presenter Matt Baker will be presenting the royal wedding live. The channel is also presenting a series of programs about Prince Harry and Meghan Markle. Click here for more info. Fox’s Shephard Smith, Sandra Smith, and Ainsley Earhardt will kick off wedding day coverage at 6 am. CBS has Gayle King and Kevin Frazier co-hosting the wedding live from Windsor. That coverage kicks off at 4:30 am ET/ 1:30 PT. Publishing icon Tina Brown will join in at some time during the broadcast. HBO is (I think) going for laughs. They’ve roped in Will Ferrell and Molly Shannon pretending to be local anchor hosts Cord Hosenbeck (Ferrell) and Tish Cattigan (Shannon)—they did the Rose Parade. This time around the show is The Royal Wedding Live with Cord and Tish!, will air on HBO starting at 7:30 a.m. EST. BBC America will start broadcasting the wedding festivities starting at 4:15 am ET/1:15 PT. If you miss the wedding, they’re going to replay it at 10 pm ET/7 pm PT. BBC International will commence broadcasting the whole shebang starting at 12 midnight ET/ 9 pm PT the night before…. let’s get everyone in the mood! Actual wedding coverage kicks off at 9 am ET/6 am PT. 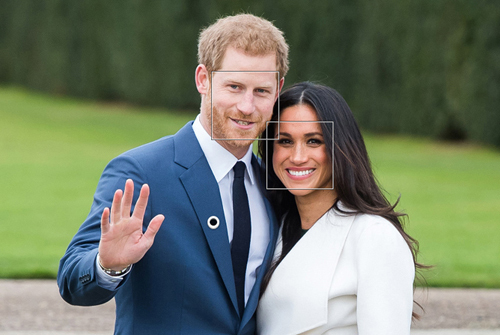 The major US TV networks will be live streaming the Royal Wedding from their websites. For coverage from NBC, visit Today.com to see the event via live streaming. You can also watch the wedding live on NBC.com and ABC.com. BritBox, which streams all sorts of TV shows from the UK, will be streaming the wedding live. It starts at 4:25 am ET/1:25 PT, via ITV. USA Today will be streaming the wedding via their YouTube channel. SKY News will be broadcasting the wedding live. This is a UK-based news network, so synchronize your watch to UK time. You can watch SKY news on your laptop, if you have Apple TV (download it) and on your Kindle or any type of tablet. If you have an Android phone, you can download apps that are always live streaming TV from across the Globe. UKTVNOW Catch the Royal Wedding Live from Sky News or BBC One. MobDro like UKTVNOW, you can watch TV from across the globe. To watch the Royal Wedding, stream Sky News or BBC One. Also, check out Did Meghan pick the right wedding gown?